This article explains the true nature of gratitude and how to practice it regularly and routinely. For the last few years at Thanksgiving I have meant to write an article about the relationship between happiness and gratitude. This year I have done it! I’m more convinced that how grateful we are for our life, the happier we tend to be. This is true because focusing on the positive and being thankful for what we have makes us feel better about our situation. It also is true that we attract more of what we are grateful for into our lives. First, I want to clearly and carefully express my personal gratitude for where my life is now; and where it is heading. Next, I have collected and edited some well-written articles about the clear, even scientific, connections between gratitude and happiness. 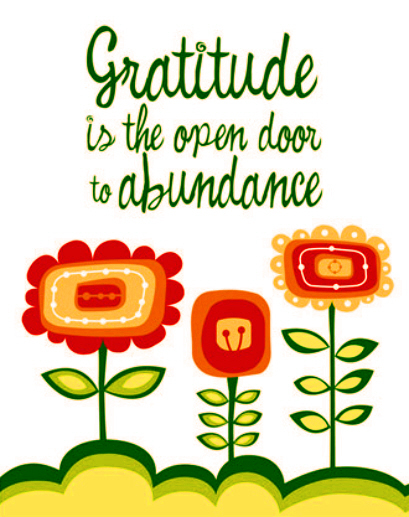 I open and end with carefully selected quotes about gratitude, happiness, and Thanksgiving. Click to Learn and Leave Comments.